One of our largest clients! We work on all sizes, from the big fellow in the picture, to minis and donkeys. What does dental work involve? 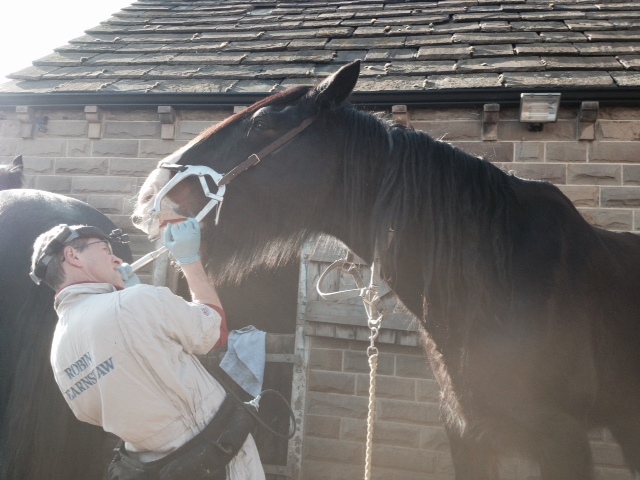 A thorough examination of the horse’s head and mouth is carried out in order to assess dental symmetry, balance and highlight any dental disease or abnormal wear. The complete procedure will take around 40 minutes (on average). A full dental chart will be given as a record of the procedures that have taken place. Robin is based near Huddersfield, West Yorkshire and works throughout Yorkshire and East Lancashire. Get in touch to see when he is next in your area.